U-Haul volunteers teamed with charity partner St. Vincent de Paul in July to help feed the homeless. About 40 Team Members met to participate in a PB&J social, making sandwiches that were later given to the hungry in Phoenix. 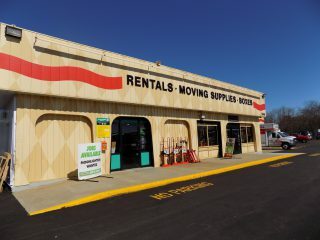 The initiative began in early July with the first U-Haul quarterly donation drive, targeting the collection of new, unopened jars of creamy peanut butter and jelly. With SVdP boxes sitting near elevators at the U-Haul towers, Team Members had a daily reminder to participate. 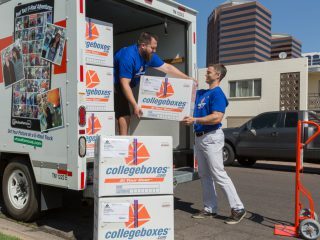 U-Haul and SVdP have a longstanding history of helping those in need in Phoenix, where U-Haul is headquartered. 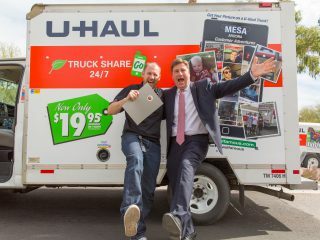 SVdP is celebrating 70 years in Phoenix while U-Haul is celebrating 50 years in the Valley and 72 years in business. Both have a mission to help people meet their most basic of human needs: food, clothing and shelter. After two weeks of friendly competition between U-Haul departments, the donation drive yielded 6,584 ounces of peanut butter and 3,487 ounces of jelly. 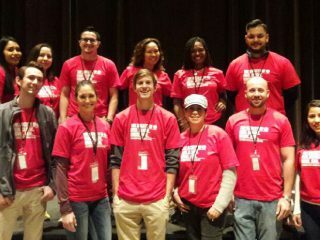 U-Haul offers its Team Members in the Valley a volunteer opportunity each month. 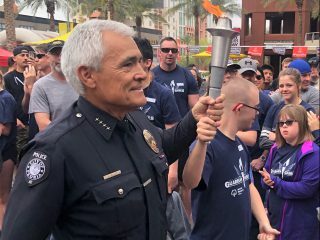 The events and organizations vary, but all stay within the scope of meeting basic of human needs or assisting veteran causes. With the few supplies needed to make a peanut butter and jelly sandwiches placed on tables, Team Members filled the U-Haul conference room. Vanessa Gonzales, St. Vincent de Paul volunteer services coordinator, explained the SVdP mission. Her speech encouraged Team U-Haul to create as many sandwiches as they could in the span of two hours. Sandwiches went into sack lunches that were distributed by SVdP vans offering food and water to those in need. Gonzales noted that the sandwiches would feed those who couldn’t to make dining services at the SVdP kitchens. 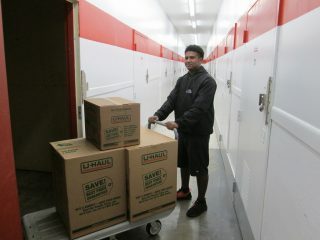 Recently, U-Haul began offering volunteer activities to Team Members during work hours and on weekdays. 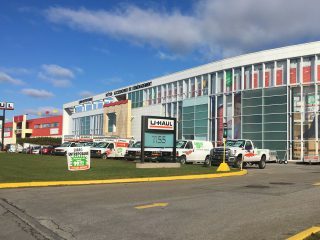 After two hours, Team U-Haul put down its spatulas and bagged up the last of its sandwiches. There was counting and collecting of bags. Team Members talked among themselves while they cleaned up their work stations. Due to the efforts of volunteers and the U-Haul quarterly donation drive, 2,562 peanut butter and jelly sandwiches were made. 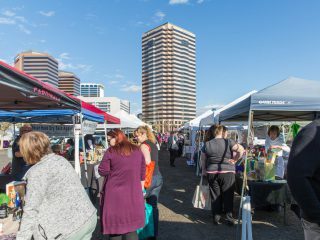 The Company’s focus on SVdP throughout July meant that many hungry individuals in Phoenix would have a meal. 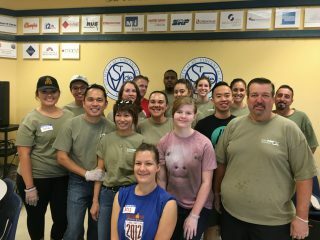 Thank you to all the U-Haul Team Members who participated in this month’s volunteer activity to help feed the homeless: Erick Acevedo, Chiemi Ash, Andrea Batchelor, Paige Brown, Kelie Budd-Hale, Kelly Casey, Rebecca Clemenson, Norman Dudley, James Gonzales, Daisy Gutierrez, John Heiland, Silvia Hernandez, Chris Lagunas, Hector Lagunas, Victor Lagunas, Maritza Lomba, Armelyn Louis, Jennifer Magana, Dawn Manard, Frances Mariscal-Tapia, Lydia Martinez, Rod McDowell, Joanna Morales, Courtney Neyra, Alonna Ross, Latasha Ross, Teri Sanchez, Josh Saxarra, Karen Schneidmillo, Zofia Sells, Robert Smith, Nicole VanParys, Oliver Van Rider, Jason Wagner, Lexi Wagner, Monique Wantland, Adam Weeby, Mason Weiss, Elizabeth Welch. Did you know U-Haul is a longtime supporter of veterans’ causes? Read about our recent involvement at the annual National Memorial Day Parade in Washington, D.C. , and let us know your thoughts in the comments box below.